If you have been admitted as a patient in a hospital, you know how quickly things happen and the number of different doctors who are likely to be involved in your care at some point. It turns out that this level of confusion can result in errors regarding the most basic information on a patient—their identity. According to a recent report by nonprofit medical procedure and patient care research organization ECRI Institute, so-called wrong-patient errors, where a doctor fails to accurately identify the patient, resulting in temporary or permanent harm to the patient, are more common than you might think. The ECRI report was the result of analysis of over 7,600 reports of wrong-patient errors received from 181 medical facilities across the country. While in the majority of cases, the doctors were able to catch the mistaken identity before any harm came to the patient, in 9% of cases, the patient suffered some injury as a result, and in two cases, the injuries proved fatal. One case of mistaken patient identity resulted in an infant being given milk expressed by the wrong mother. Sadly, that mother had Hepatitis, which was passed through the breast milk to another woman’s child. In another incident, a patient was wrongly cleared for surgery based on another patient’s test results. The following day, doctors discovered that the operated-on patient had died. The report from ECRI institute offers several simple solutions for this issue. First, hospitals should implement a uniform way to verify a patient’s identity before subjecting them to tests or conducting other procedures. Doctors and nurses are also advised to have the patient state their name, rather than simply asking for a yes or no answer from a patient who may be under the effects of powerful medications. Only about 20% of hospitals use patient photos in their records, despite how many incidents of mistaken patient identity this simple step could prevent. 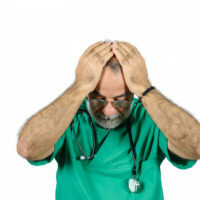 When a doctor or hospital makes a mistake such as a wrong-patient error, and the victim responds by filing a lawsuit for monetary damages resulting from such an error, courts will often look at the costs associated with potential solutions to the issue, and how easily these new practices or procedures could be adopted. Where the cost and simplicity of integration into hospital practices appears to impose too great a burden, the court may not find it reasonable to expect the hospital to adopt such changes, even where a patient’s life may have been saved. For example, a court might reject the claims of a patient who argues that a hospital committed malpractice by failing to administer a costly experimental treatment that showed only mixed results on the patient’s condition. However, where a potentially-life-saving measure is determined to be inexpensive and easily-adopted, courts will be more likely to rule that the hospital acted unreasonably in failing to implement it. Since the addition of a photograph to hospital records or of simply asking patients to repeat their name to the physician cost little to nothing to implement, a victim of a wrong-patient error might have a strong claim for damages against the hospital, depending on the facts of the case. If you’ve been the victim of harm as the result of a patient identification error, or have been the victim of another form of medical malpractice in New York, seek representation from an experienced, determined, and effective medical malpractice attorney and contact Leandros A. Vrionedes for a consultation, in Manhattan at 212-889-9362, or in Queens at 718-777-5895.